In her acceptance speech at the SAG Awards this past month, Patricia Arquette took a moment to speak directly to the entertainment industry. Arquette highlights a momentous issue for contingent workers in Hollywood. With the gig economy booming and showing no signs of slowing, it’s now crucial for companies to provide their contingent workers with reliable payrolling and proper benefits. We are excited to announce Eastridge now is working with multiple entertainment companies to provide a streamlined, compliant solution. 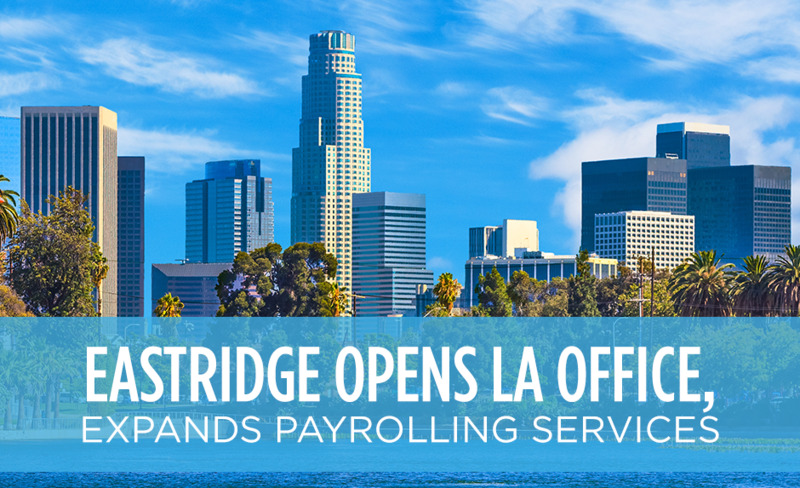 With Eastridge’s presence in Los Angeles steadily growing, delivering payrolling services to some of the world’s most known brands, we have committed to open an office in Los Angeles before the end of Q2. In addition to providing a hyper-local presence for our current Los Angeles clients, we will expand our services to support entertainment-based companies and their contingent workforces. In partnering with Eastridge, we can provide Hollywood’s temporary workers with reliable timekeeping and payrolling, quality healthcare, and competitive benefits. With more than 200 active clients deploying our payrolling services, we have seen scalable, positive results for companies and employees alike. In expanding to Los Angeles, our mission will remain the same - to support contingent workers with reliable payrolling processes, empowering them to focus on the work that matters most. Eastridge can also provide payrolling solutions for companies with workers across the U.S., Canada, U.K., Mexico, and Germany. If you’re interested in learning more about our Los Angeles expansion or global payrolling services, please contact us today.